Your initial consultation is a comprehensive evaluation of your history and medical records with your oncologist. We encourage your loved ones, caregivers, and family members to attend this appointment so that we may answer any questions or concerns. Because of the nature of this visit, it may last up to an hour or longer. WIFI is also available for electronic devices at all of our locations. Children are permitted to attend appointments; however, cancer patients in general are at risk for acquiring infection as a result of their underlying disease or from chemotherapy. This is why it is so important visitors to take an active role in infection prevention, by keeping children at home if they are sick. In case of inclement weather, you will be contacted by your physician’s office if we need to reschedule your appointment. If you are unable to make your appointment due to inclement weather, please contact your physician’s office. Your medical records are available to view online. Simply access one of the patient portals (SeeYourChart® or Navigating Cancer). Patient portals are easy to use and provide secure read-only access to your clinical documents, lab results, appointment calendar, and educational materials. Patients can authorize access for family members, caregivers, and friends. In turn, this delegated group can access tools to help assist the patient. Listed below are some guidelines that may be helpful with regard to your insurance coverage for services rendered in our office. Medicare: Medicare patients are responsible for their annual deductible of $147.00. When claims are submitted to Medicare, they will be processed and paid at 80% of the approved amount. If you have secondary insurance coverage, it may pay all or part of this 20% difference. We do not bill the difference between our billed amount and the Medicare allowed amount, but you are responsible for any unpaid portion of the co-insurance or deductible. Personal Choice: All services will be billed to the insurance carrier directly. If your policy has an office visit co-payment, it will be collected at the time of each visit. Pennsylvania Blue Shield: Services will be billed directly to your insurance carrier. Some policies do not cover outpatient office visits. Health Maintenance Organizations (HMO): It is your responsibility to obtain a referral for each visit to this office. Your primary care physician (PCP) may write one referral to cover multiple visits. This will depend on the frequency and type of services being rendered. For patients receiving chemotherapy, the referral should be written for: Office Visit/Chemotherapy/and Injection. This will cover you for most services that you will require when you are under our care and will avoid additional phone calls to your PCP requesting the addition of services to your referrals. Any co-payments will be collected at the time of each visit. Private Insurance Carriers: All services will be billed to the insurance carrier. The balance due is determined from the Explanation of Benefits sent by your insurance carrier. Cost shares based on insurance coverage may be collected at the time of service. 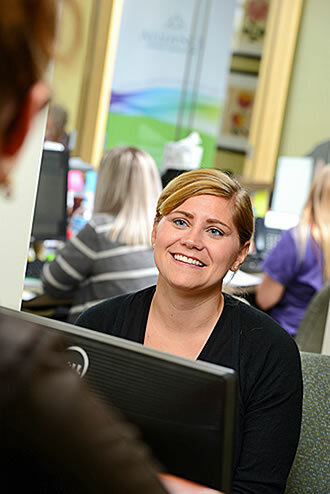 Our Billing Representatives are available to answer any questions you might have regarding your insurance benefits. We are also happy to make payment arrangements or to process payment to your MasterCard of Visa account. Cash, cash, credit cards (VISA, MasterCard, American Express, and Discover), and money orders. Payments can be made in-person, by phone, or by mail. For questions about your insurance coverage, payment plans, price estimates, or applications for financial assistance, please stop by the Billing Department or call 215-612-5260.